Sometimes only dank memes will do. We really, really hope these people have enough money for tattoo removal. Popular first-person shooter Team Fortress 2 has inspired quite a few memes. The latest deals with the theme of fear. In a 2012 promotional video meant to introduce Pyro, burly character The Heavy is quoted as saying "I fear no man. But that thing, it scares me." The quote is in reference to Pyro. As you can see from these memes, the moment has proven to be highly exploitable. It's used to describe ridiculous or funny fears, and many instances are super clever. Actor Kevin Spacey has been under heavy fire as several people have come forward accusing him of sexual assault - but this isn't news to everyone. While Seth MacFarlane was the first to call out the recently House of Cards actor, Hulu's Difficult People has made a bevy of jokes about Spacey, some that we now know are all too real. Looks like these Kevin Spacey memes aren't going away anytime soon. Now with extra Kevin Spacey! 90 minutes in... BAM... Kevin Spacey. 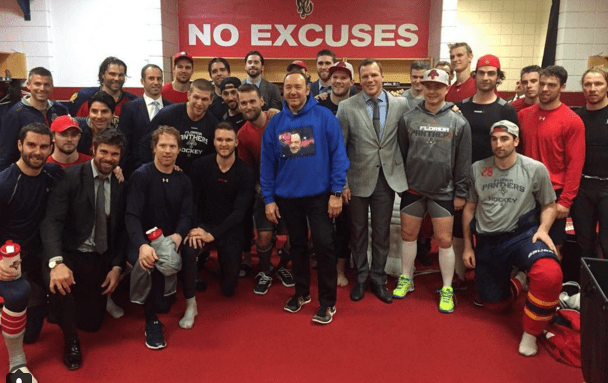 The Florida Panthers had a "Spacey in Space" night and guess who showed up to join in? That's right, Kevin Spacey. For some reason he's become a bizarre celebrity good luck charm for the team and he's finally come out to see them. Unfortunately, they lost that game 5-3, but they still seemed happy to see him. How Does Kevin Spacey's Fake Southern Accent Stack Up Against the Real Thing?